We are finally enjoying some Spring temperatures! After a brief blast of winter by mother nature last week, this week is temperatures in the teens and pretty sunny for the most part. It just makes me want to be outside! 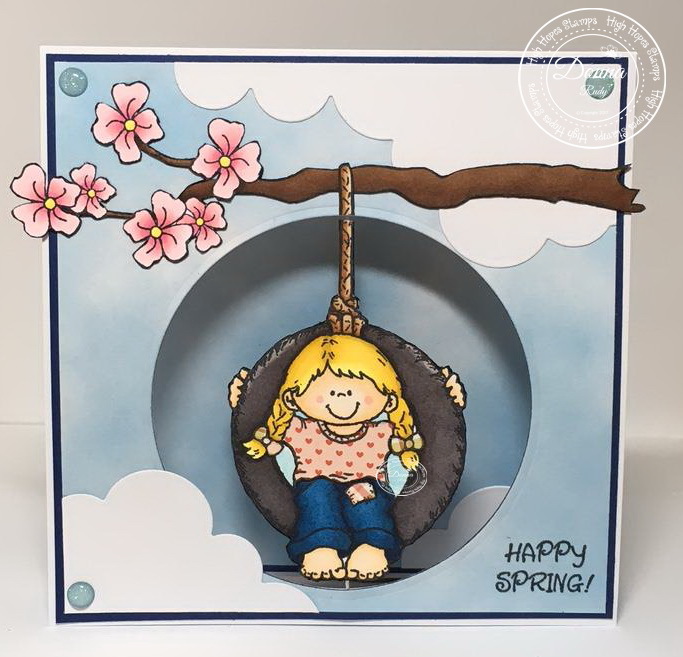 My card this week features "Swinging Shannon (front and back), Blossom Tree Branch, Sign Post and the Get Your Happy On" sentiment. Shannon is attached with some thread so when the card is open she swings a little from side to side. 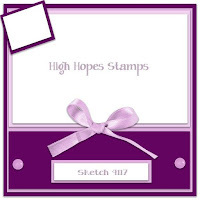 She could also be wound up before closing the card and she was spin when the card is opened - fun right? 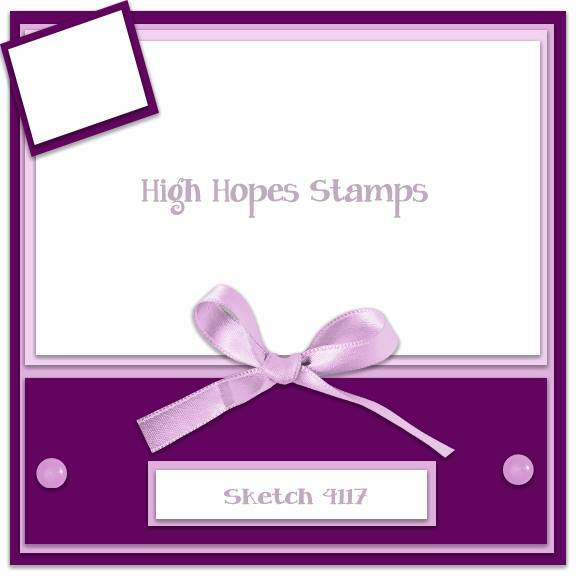 All stamps are coloured with alcohol markers and fussy cut. 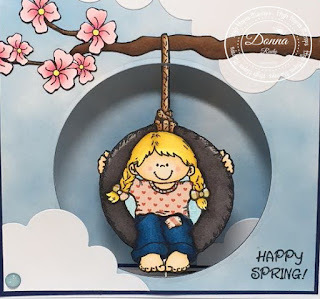 Her bows, shirt and patch on her knee are paper pieced with patterned paper from Carta Bella. A puffy cloud die gave me some fun clouds to add. Two different sentiments and some glittery enamel dots finish off my card. EEEEKKKKKK! Wowzers this turned out awesome!! You did an amazing job of making "Shannon" into an interactive spin card! Love the cloud background too! You always amaze me with what you dream up! !